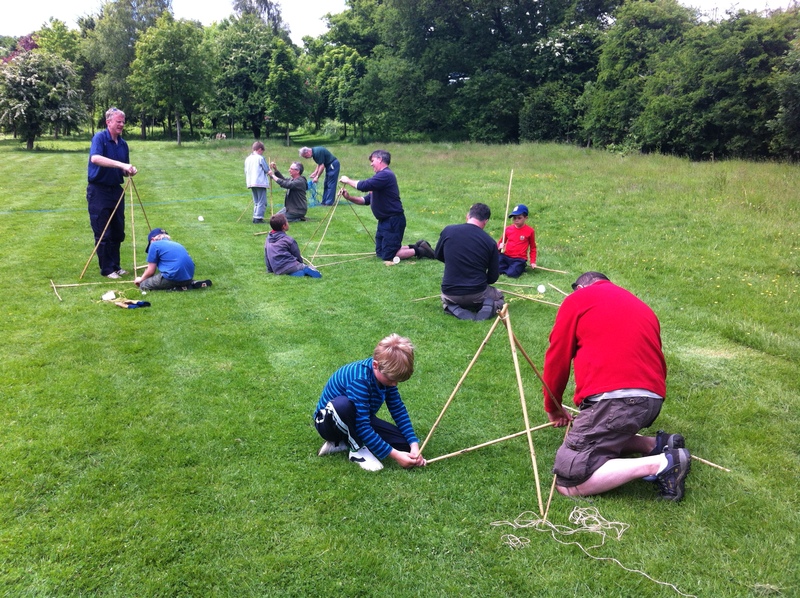 Ahead of Father’s Day next weekend, Boys from 10th Romsey brought their Dads along to Scouts on Sunday for a Father & Son Day where they enjoyed a variety of activities. They started with some work in the grounds; clearing foliage, trimming trees and weaving offcuts into the boundary fences around the field. 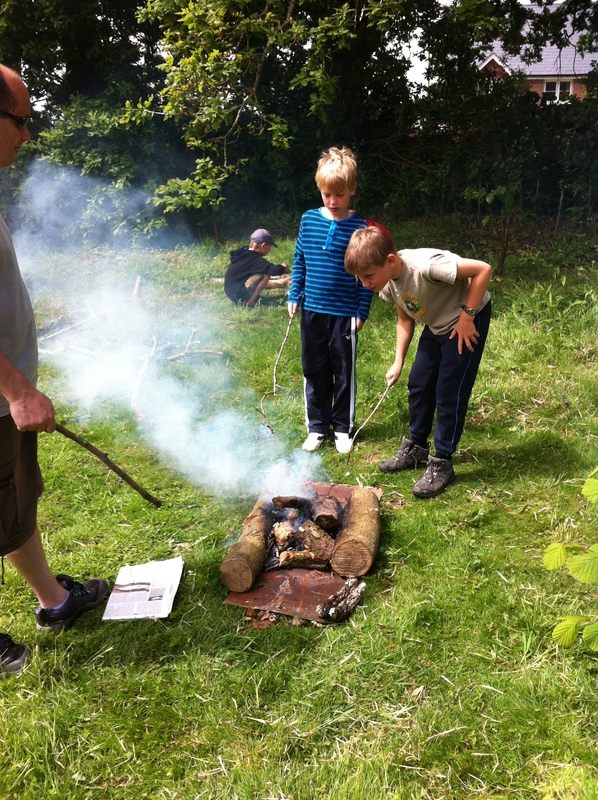 After a break for Coffee, Squash & Cake the Dads and Sons teamed up to build fires for Backwoods cooking. 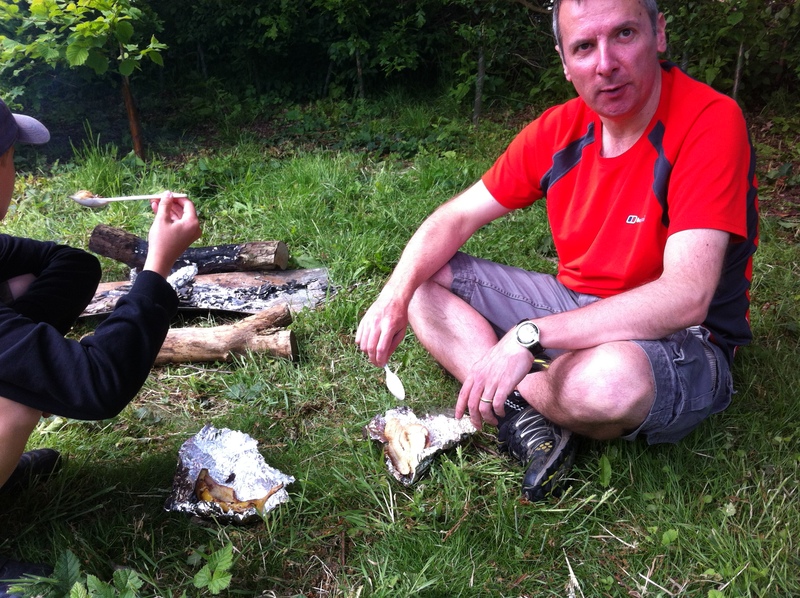 Cooking Choccy Bananas in the hot embers of their fires. 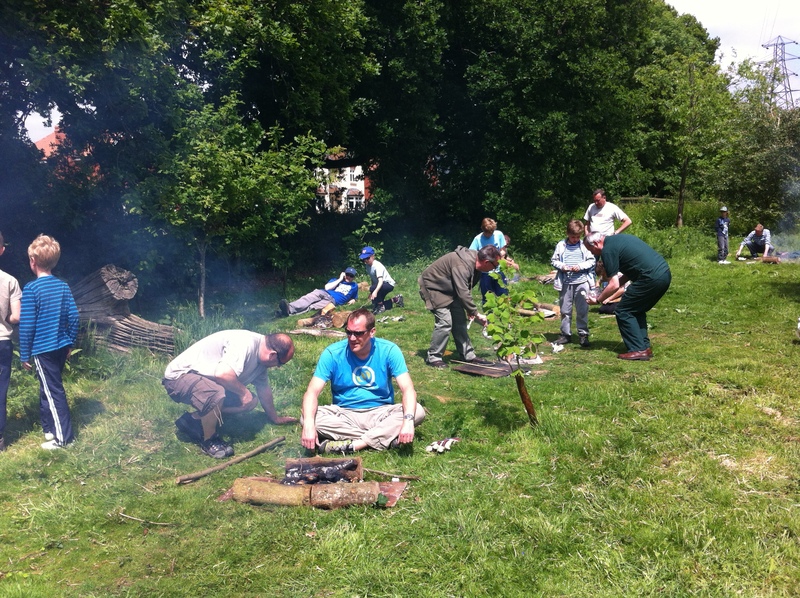 Whilst the Father & Son teams had been tending their fires, members of the Group Executive had been hard at work at the BBQ cooking Sausages and Burgers which had been kindly donated by Woodley Co-op. After lunch came the final event with a mini pioneering challenge to build a catapult with garden canes, rubber bands and string to fire a ping pong ball the greatest distance. 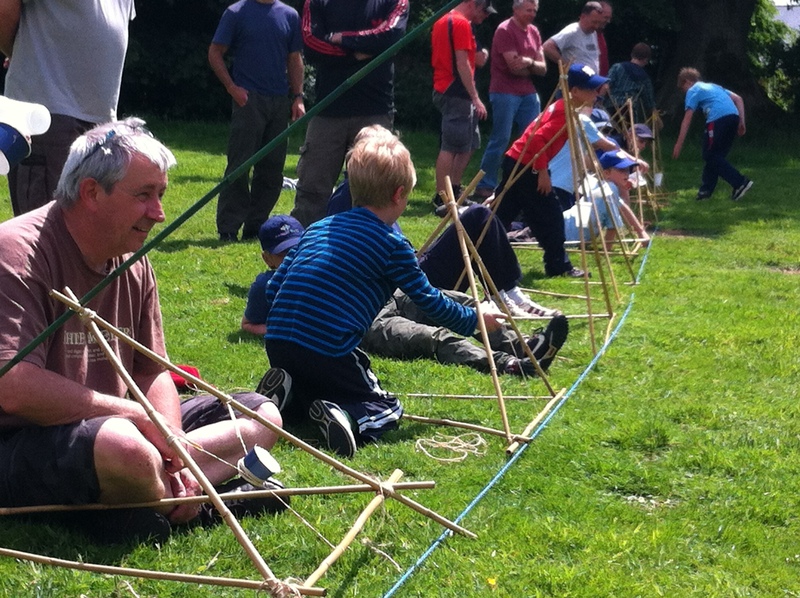 We had some very competitive Dads, and Boys, who built some very ingenious devices. After a few test firings and a little tuning the competition started with some launching their balls a great distance and some only a few metres. Thanks to everyone who helped to make this such a wonderful event. 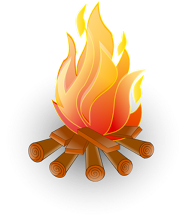 To the Dads, the Boys who brought them along, and to the volunteers who planned the event, prepared the equipment and cooked the food.